Warning: If you're a casual Bowie fan, you should turn and run now. Go get yourself a copy of the Best Of and be done with it. 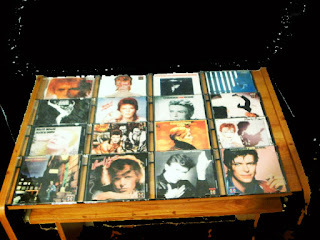 Starting in 1989, EMI (Rykodisc in the US) began a campaign of reissuing Bowie's catalog. 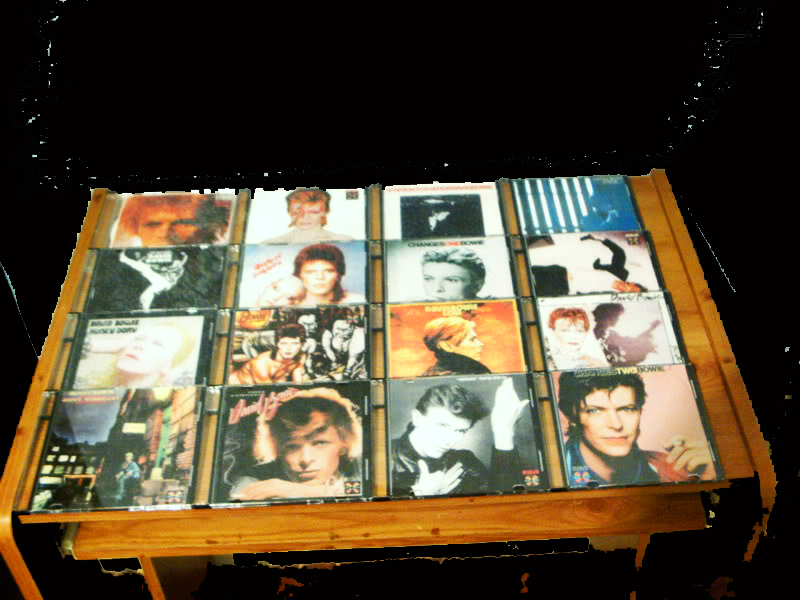 All his albums were remastered with bonus tracks and there was an odds 'n sods box set collection, Sound & Vision. This was basically the first big Remaster campaign, which since has become quite common. Some people still swear by these 1990-1992 versions of the albums as being the definitive versions. In 1999, his catalog went to Virgin, who began their own remaster campaign, issuing all the albums, newly remastered, but sans bonus tracks. In 2007-2009 his albums were released on SHM-CD in Japan. In 2013, many of his albums were mastered for HD digital. Just this year, posthumous box sets have been released with yet new remasters. Does it all really matter? Don't they basically sound the same? Well, not really. I'm not a collector (good luck finding all 200+ versions of Ziggy Stardust), but I am a bit of an audiophile and after being a fan for so long, I've just acquired different versions of the same albums over time. So, you have choices... although, I don't think you can go wrong with the EMI/Rykodisc versions from '90-'92. As to the music itself, maybe no one has gone through so many different styles and incarnations, alter egos and sounds in one single decade than Bowie in the 1970s.